O.K., so in reality it’s Tuesday… but I did have my menu made on Monday, I just wasn’t able to get it posted until today. I bought a large pork loin for Resurrection Sunday, but since I was not feeling well, we postponed cooking it until Monday. My family loves pork loin, and we usually eat it Cajun injected for the first meal and then for subsequent meals I make bar-b-que with it for sandwiches. This week the pork will adorn our table in three different meals, but my family doesn’t mind, because it’s a rare treat which they love. The recipe is so simple, but, oh so good. Inject the pork loin with injector if you choose, if you want to do it the easy way, just pour the jar over the pork loin and bake. Bake at 325 until it reaches at least 160 F. I cook mine until it easily pulls off with a fork. 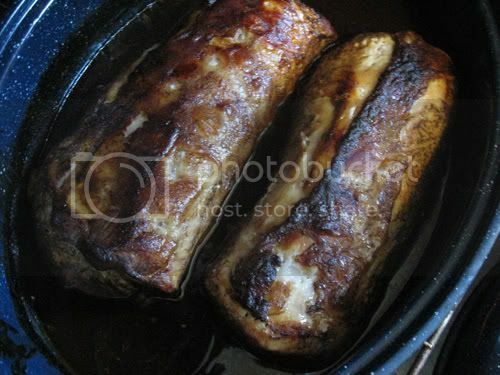 I know that this may look like two pork loins, but it really is only one. I bought it at Sam’s for $2.10 a pound, which was a pretty good deal. The dark liquid you see around it is the Cajun Injector Sauce. Use a little of the sauce from the pan if you make gravy and it will be heavenly! I hope you have a great week cooking for your families, drop over to Laura’s for other great menu ideas! 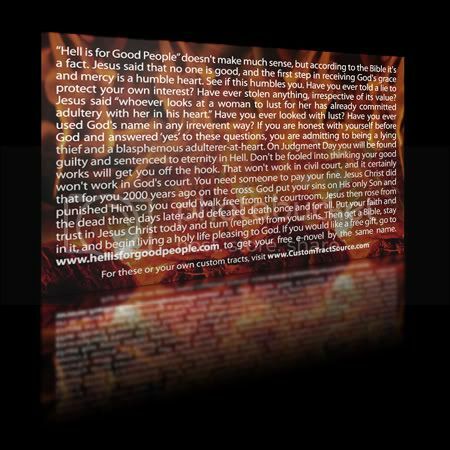 We have also worked with our great friends at Custom Tract Source to create tracts that go along with the book. 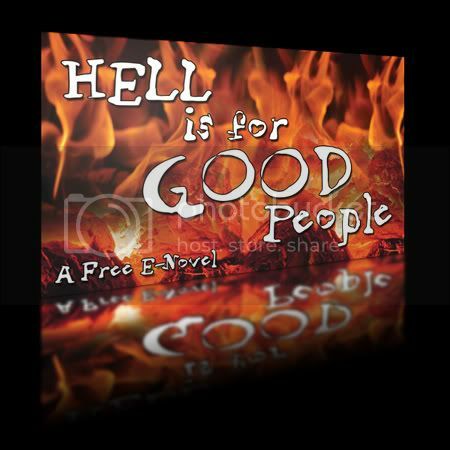 We do not make any money off the sale of these tracts; they are just a means we have created to spread the gospel. Offering a free gift to someone is just another way to open the door to sharing the gospel with them. Please read the summary of the book below and visit our site. Dave Babin was your average Joe in most ways: Hard working, with a belief in God and country to go along with a driving pursuit of the American Dream-getting all you can while you can because you’ll only get one shot at it. An abundant life lived to its fullest was the template that most folks patterned their lives around, only to varying degrees and limitations enforced by the almighty dollar. Then the world’s economy was turned on its ear, reducing most of its inhabitants to a level playing field, one where the strong survived and the weak stomped on. Like a ten dollar ad in the New York Times, many a story melted into the chaotic surroundings brought on by the devastating oil catastrophe, not the least of which coming out of the global madness were reports and rumors of certain individuals up and vanishingâ€”literally. It made no sense to the multitude of “believers” remaining, millions of good people left wondering . . . what happened? Dave Babin, never one to shy away from offering his expert opinion on any subject, found himself sitting in the same boat of confusion with no answer, though one was definitely on its way, and in a package he could’ve never seen coming.